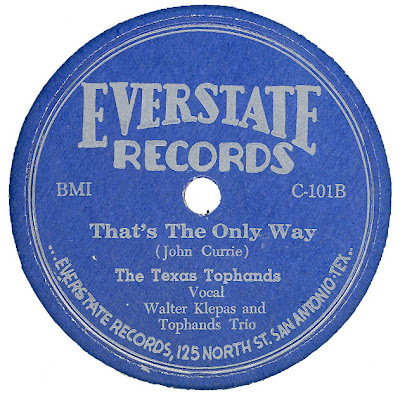 I've seen this listed "(1963) Everstate (TX) 45 - 501 Texas Top Hands Bandera Waltz Not sure if its a alternate version or a reissue? "Bandera Waltz" was a very popular song, and there were a number of cover's. Alas I am not familiar with the version on the later EVERSTATE label.